Against the backdrop of Silverstone’s owners saying ‘no’ to extending the British Grand Prix past 2019, comes the halfway point of the 2017 season. The short version of the contract issues surrounding this event is that costs are rising and the venue can no longer afford these costs, so it is cutting short its contract. 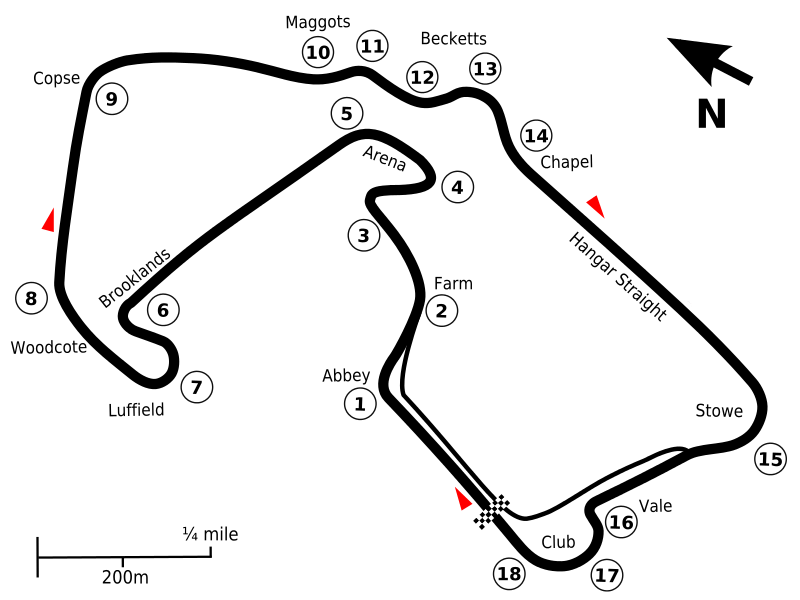 The other previous venues to host F1 races in the UK (Brands Hatch and Donnington) are not currently in a position to take over, so a few ideas are being mooted, such as having the event in London. At this point, nothing is certain. Nothing is certain in the championship either. Valtteri Bottas won in Austria last time around to arguably put himself into contention for the title, whilst his Mercedes teammate Lewis Hamilton will be desperate to re-assert himself, after seeing one likely win in Baku slip through his grasp, and taking a penalty last time around. He is 20 points behind lead Ferrari man Sebastian Vettel, hardly insurmountable, but he will want to start putting wins on the board to apply some pressure to the championship leader. If recent years are anything to go by, Silverstone is the perfect place for him to begin that run. He won here in a rain-soaked event in 2008, and has won here in 2014, 2015 and 2016 (every year of the hybrid turbo era). He appears to relish the superfast sequence that is Maggots and Becketts (turns 10-14), a part of track that every driver has nothing but praise for. It has been suggested that Stowe (turn 15) will be flat-out this year, which should make for a pretty dramatic spectacle. Hamilton would settle for a boring race, one where he leads from the start to finish.